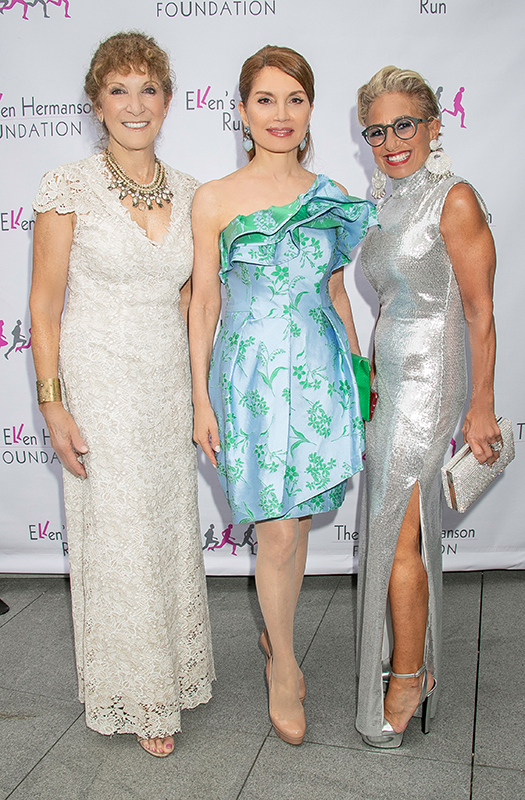 The Ellen Hermanson Foundation hosted its annual summer gala, “An Evening of Enchantment” at the Topping Rose House honoring Jodi Wasserman, Board of Directors member of Lucia’s Angels and the Coalition for Women’s Cancers at Stony Brook Southampton Hospital. Jean Shafiroff was the Gala Chair. Jean Shafiroff told the donors that “We live in a place, Long Island, that has the highest record of breast cancer in the United States” She went on to encourage donors to give generously with their hearts and their wallets, and that they did. You could feel the love and warmth in the room as people raised their hands and contributed generously. Founder Julie Ratner has built a phenomenal state of the art hospital center and support system in memory of her sister Ellen. Ellen’s last year battling breast cancer were filled advocating for others. Now she and her sister Emily Levin continue her work. . The Stony Brook Southampton Hospital’s Ellen Hermanson Breast Center is a place where no one is turned away because of lack of health insurance or asked about, their immigration status. These good women have carried countless efforts in the East End through breast cancer detection and saved numerous others from it, via early detection. If you would like more information or to make a donation go to www.ellenhermanson.org.